The Detroit Pistons are moving back to Downtown Detroit after decades in Auburn Hills. Little Caesars Arena, which they will share with the Detroit Red Wings, will be the team's fifth home. Here's a look at the Pistons various home courts through the years. The Pistons moved to Detroit in 1957, where they shared a home with the Detroit Red Wings at Olympia Stadium. The team played four seasons at Olympia. The Pistons also played at the University of Detroit when Olympia was occupied. 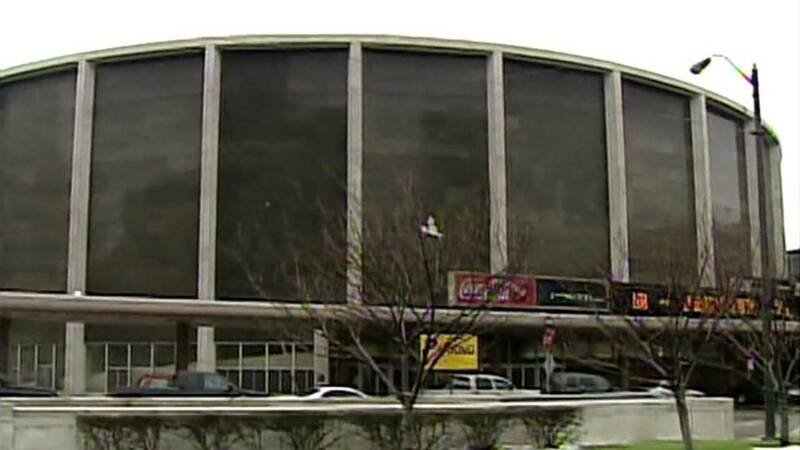 In 1961, the Pistons moved to Cobo Arena. Through the years at Cobo, the Pistons didn't enjoy much success, despite having superstars like Dave Bing and Bob Lanier. In 1974, the team was sold to Bill Davidson, who did not like Cobo. The team had the option to join the Red Wings at Joe Louis Arena, but opted to move to the Silverdome. The Pistons joined the Detroit Lions at the Pontiac Silverdome in 1978. The Silverdome had opened only three years prior, and at the time, was a huge stadium - with a seating capacity of more than 80,000. The Silverdome also played host to the Michigan Panthers of the USFL in 1984. The Pistons moved to their current home, The Palace of Auburn Hills, prior to the 1988-89 season. The move came as the Pistons 'Bad Boys' rose to the top of the NBA, winning back-to-back championships in 1989 and 1990. The team enjoyed success at The Palace, breaking attendance records during the Pistons 2004 championship run. The Palace is one of only two NBA arenas not named after a corporate sponsor.